The National Disability Insurance Scheme (NDIS) is a positive initiative to provide lifelong support to people living with a disability. MS Queensland is here to help you navigate the application, planning and implementation process, and to help you achieve the maximum benefit from your NDIS plan. MS Queensland can help you understand the NDIS eligibility requirements and guide you through the completion of the Access Request Form. We can assist you over the phone, at your home, or you can attend a free MS Queensland NDIS Information Workshop. Your NDIS planning meeting will form the basis of your NDIS plan, so it’s important to plan and prepare for this meeting to ensure you receive the support you need. We can help you identify your needs and goals, and review your capacity to live your life every day, both now and in the future. We can also help you understand the types of supports and services that are available through the NDIS, and how they could be of benefit to you. We understand that you may have questions when you first receive your NDIS plan. We can help you understand the services and supports that have been included and how to begin implementing your plan. You will need to make decisions about managing the budget and which service providers to use and there are a number of ways you can access help for this. 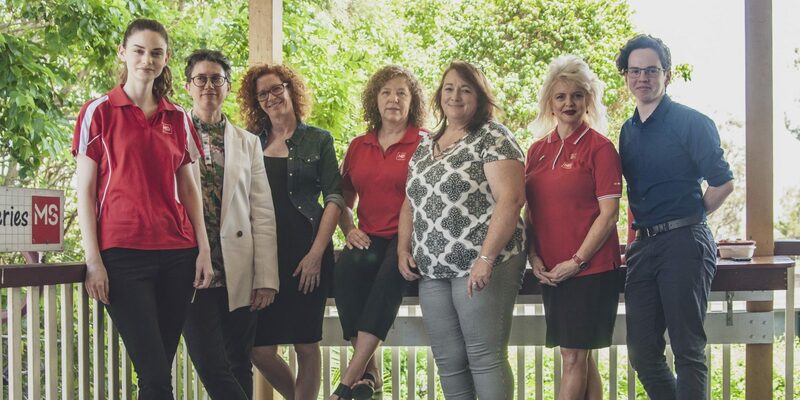 MS Queensland can connect you with NDIS Plan Management Services and with other services and supports providers in your local area. We can also assist you with the ongoing management of your plan. Your NDIS plan may include Support Coordination as one of your funded supports. MS Queensland is a registered provider of NDIS Support Coordination and we offer this service to people living with MS and other progressive neurological diseases (PND). With over 60 years of knowledge and expertise in this field we have developed an extensive network of specialist providers who understand the specific requirements of people with a PND. Our Support Coordination service is designed to help you get the best from your NDIS plan. Many services available from MS Queensland can be accessed even if you are not eligible for the NDIS. This is part of MS Queensland’s commitment to ensuring no one faces MS and other PND alone, and is made possible through the funds raised by our generous supporters. Here to answer your NDIS questions and provide assistance and support.